Hooked on People Interview: Roslyn aka 'But First, Plants' + Thai Curry! 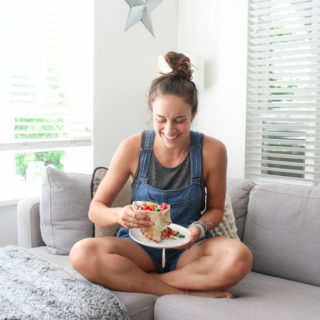 Hooked on People Interview with Roslyn aka ‘But First, Plants’ + Coconut Thai Curry! Roslyn has created a beautiful blog over at ‘But First, Plants’ with delish recipes (like her Thai Curry, seen below). Her love for the outdoors and the plant-based lifestyle helps her curate words and photos in an inspiring and gorgeous way. If you follow her on instagram ( @butfirstplants ) you will see how authentic, real and relatable she is. She’s got lots to share, and that’s why I felt the need to share her with you! 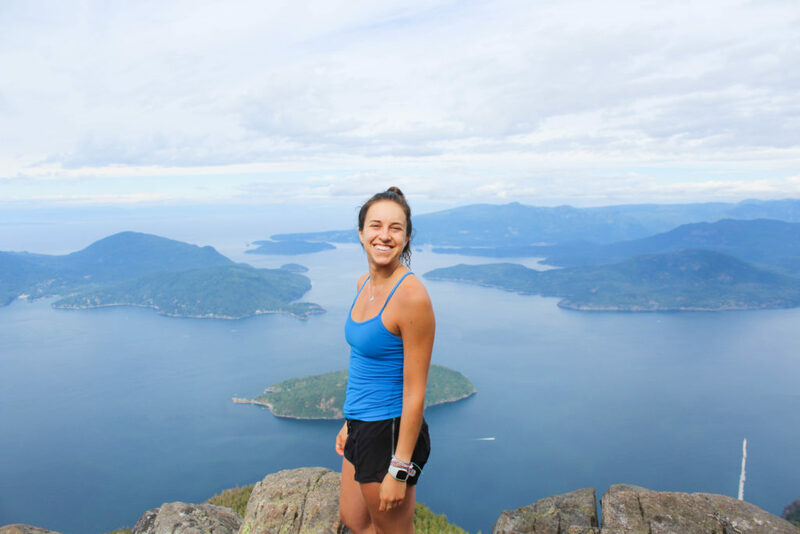 Roslyn grew up in Vancouver, and adopted a plant-based lifestyle in her fourth year of university while taking Communications in Calgary. 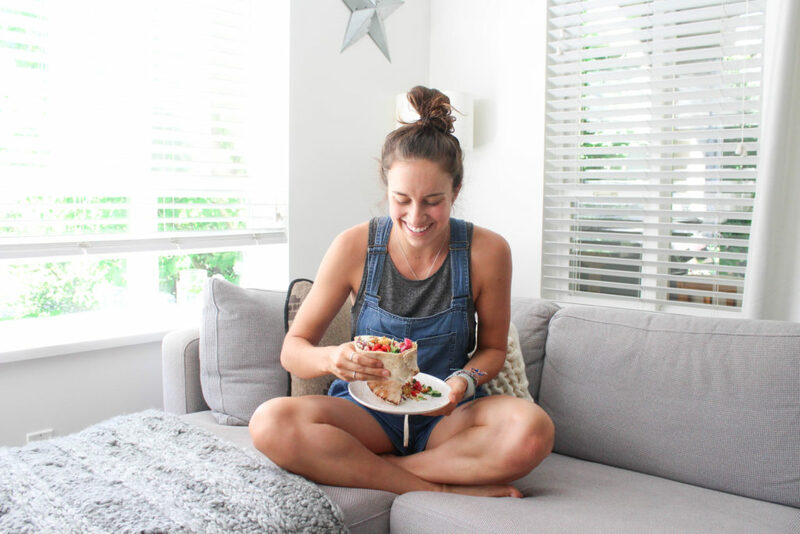 After an exchange to England, she moved back to Vancouver worked in tech, real estate development, and marketing, while developing her side hustle on the side—her blog and plant-based Instagram account. 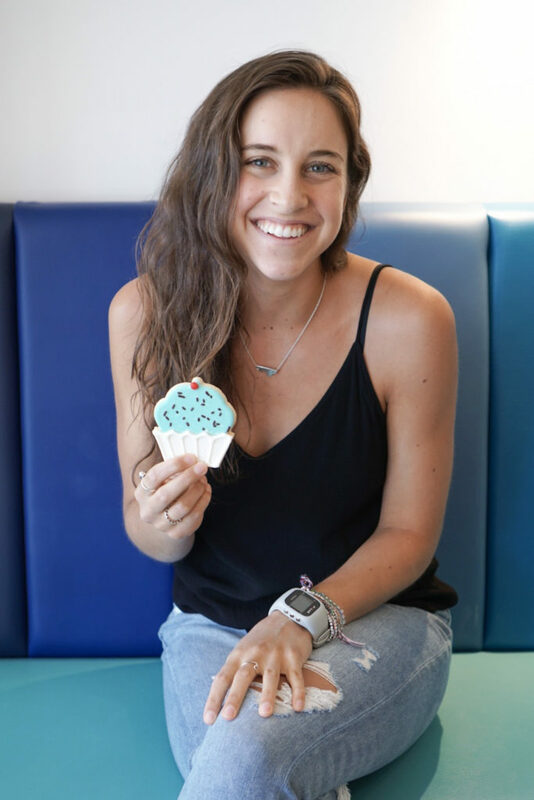 She finally realized that her passion for health and nutrition extended much further than her own kitchen, so she decided to become a holistic nutritionist at CSNN where she is now! 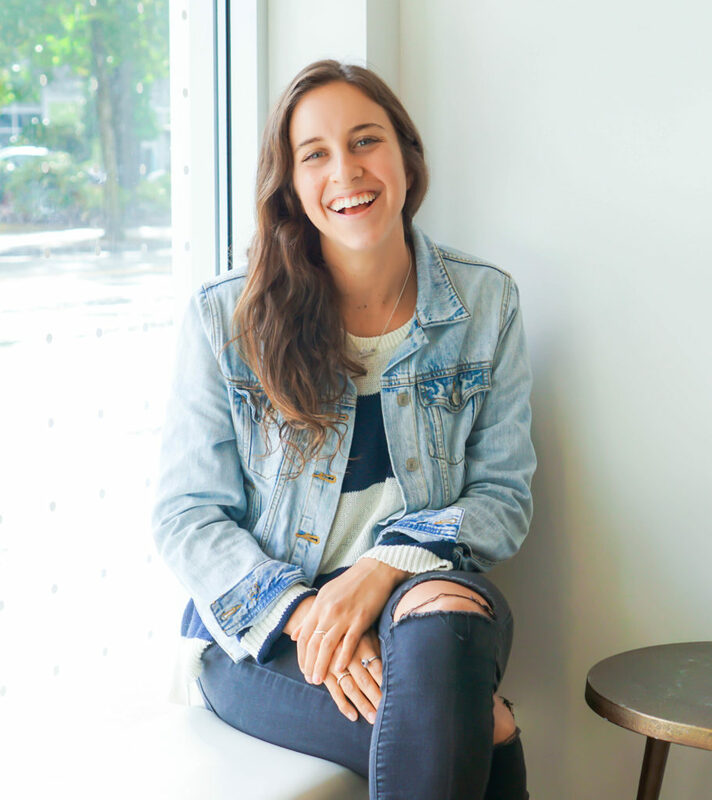 On the side she works as the marketing manager for Piquant marketing, working with small food businesses that are making waves in Vancouver. 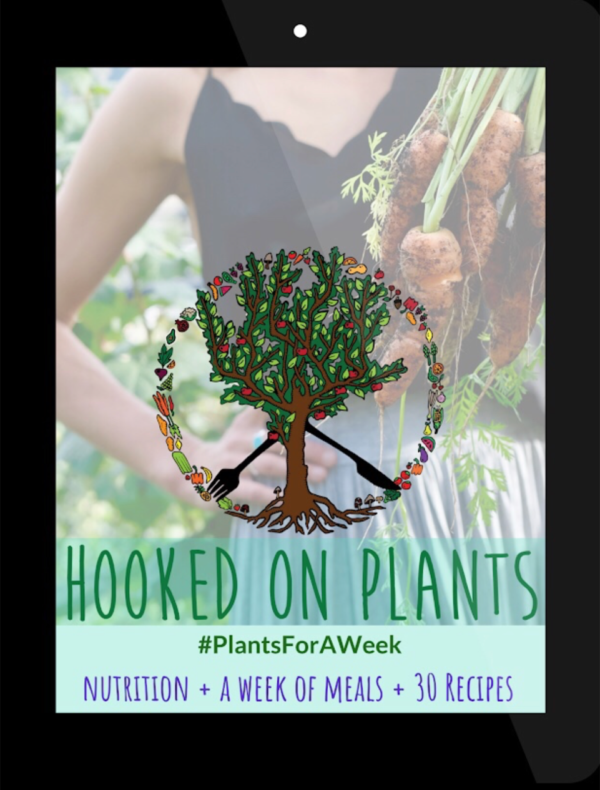 Hooked on Plants: When did you make the transition to a vegan lifestyle? Did it take you a while, or did you quit animal products cold tofu? But, First Plants: It started in third year university—actually, it probably started back when I was a kid. I was that oddball child who preferred salad over french fries and refused to eat ham because I knew it was made of “pig”. But back to third year university…I was living in England and my boyfriend at the time was starting to talk more and more about nutrition, the origins of food, and animal agriculture on a day to day basis. I remember being so blown away by the research he was doing on his own. I couldn’t even wrap my mind around the fact that I had been living in the dark for nearly 20 years. It made me feel both guilty and angry. We watched Cowspiracy and that pretty much did it for me. We started tossing back and forth the idea of cutting out animal products all together, and I knew that as soon as I returned home to Canada, I would start my transition to a vegan diet. In September 2015, I cut out all animal products from my life and never looked back. HOP: What was your ‘Why’ for going vegan? Your health, the animals or the environment? BFP: It started with the planet, then it transitioned to the animals and the health benefits. Basically, I hit all three pillars within a one year time frame, and my reason for continuing to live a vegan lifestyle is a combination of all three like most people. I knew that if I wanted to have children of my own one day, there was no way I could lead a lifestyle that would absolutely put their chances of having a decent quality of life in jeopardy. I also knew that I would never be able to disconnect my association of a living breathing animal and the plastic wrapped meat at the grocery store again. I didn’t want to live in ignorance anymore and I didn’t want to use my taste buds or cravings as an excuse to buy into an industry that is destroying both the planet and our health. By nature, I’m a compassionate person who tends to think critically about everything I do. I decided that if I wanted to continue to thrive on this planet, enjoy nature, and let all other living beings do the same, there was only one kind of lifestyle I could proudly lead. HOP: You are all about inclusivity, without judgment in the way you help people to eat more plants. Can you give 3 tips for someone trying to eat plants over animals? Start small and work your way up: Quitting animals products cold tofu rarely works for most people (I was definitely an exception). Don’t put the pressure on yourself to be “this” or “that” within a certain time frame and you might just surprise yourself when you look back at how far you’ve come. Try not to be so hard on yourself and just start by choosing more plants over meat and dairy at the grocery store; that in itself is an achievement! Seek support: It doesn’t even need to be a nutritionist! Find someone who has made the same transition and pick their brain. It’s easy to fail when you don’t have anyone behind you. But with helpful insights and a little motivation from others, you’ll be able to make many more changes. Make food fun again! Try new recipes and experiment. The only way you’re going to learn how to cook more plant-based is by trying new things and messing up (I know I sure did!). Mistakes are inevitable, but your transition will be much easier for it. HOP: You’re a total adventure babe! You ski, hike, run, and explore the backcountry… What is it about nature that turns your cranks? BFP: The freedom, the silence, and the ability to experience the world in a way that is so unlike the noise we live amongst in the city. I love living in Vancouver, but sometimes it can get a bit overwhelming. I find myself gravitating toward the mountains so I can finally hear myself think again and feel at ease. I’m not a competitive person, so I’m not in it for personal bests or the bragging rights—I show up for the pure love of the mountains and the way they make me feel. And of course, feeling strong and able to move my body in all those ways doesn’t hurt either! HOP: What can we look forward to from But, First Plants? BFP: More adventure, more nutrition insights, and hopefully, consulting of my own! Once I graduate from CSNN, my goal is to transition into a career as a consulting registered holistic nutritionist both in the lower mainland and online. I foresee myself focusing on helping women and men fuel ther adventures in a way that works best for your body. 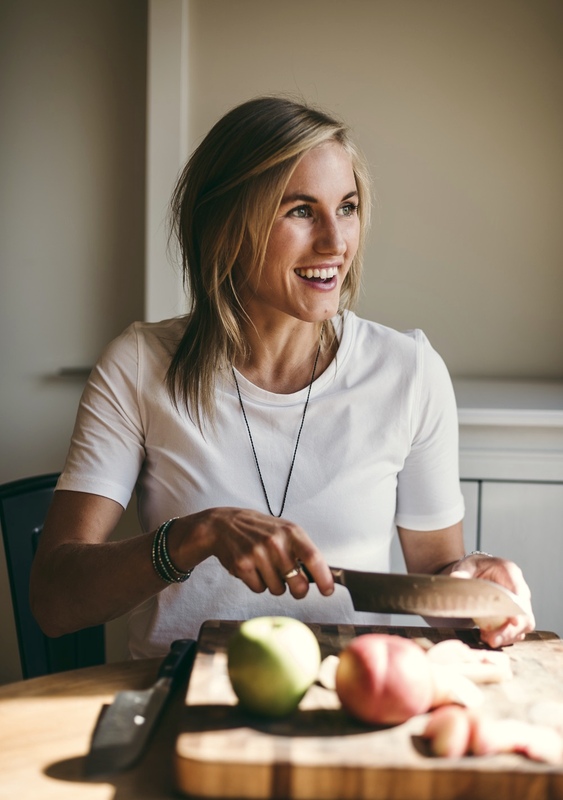 I want to help others feel their best doing the activities and the sports they love by empowering them to make better food and lifestyle choices in the increasingly stressful and busy age we live in. What does this mean in concrete terms? Well, I want to start taking clients as of September 2019 while continuing to work alongside my fabulous team at Piquant marketing to help small food business in Vancouver be seen and heard in the marketplace. Of course, there’s going to be a lot more hiking, travelling, and ski touring in the mix too! HOP: Can you share with us your fave Fall recipe at the moment? BFP: My favourite fall recipe right now is a lentil and sweet potato shepherd’s pie from Canadian Living! I was flipping through their magazine the other day and was so excited to find a vegan recipe—I had to try it! It absolutely did not disappoint and I have a feeling it’s going to be on repeat for the next few months. 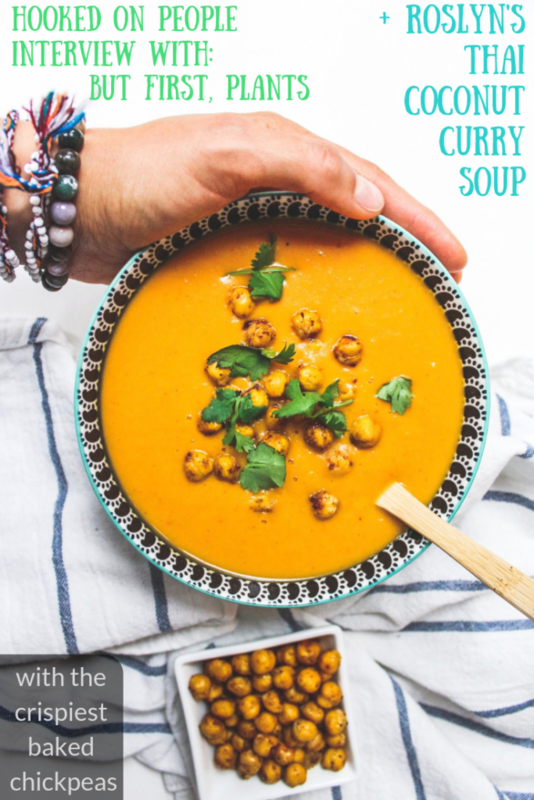 And a favourite on my blog is my Coconut Thai Curry Soup with The Crispiest Baked Chickpeas on top! A warming + comforting thai dish from food blogger Roslyn aka But First, Plants! Peel and chop yams into 1 inch pieces and roughly chop the onion, garlic, and ginger. Set a large, deep frying pan over medium heat and add coconut oil. Once heated, add onion, garlic and ginger and sauté for 5 minutes or until the onion is translucent. Add salt, pepper, and curry paste and stir for 1 minute to combine. Add yams and stir for another minute or two to coat the yams in the curry paste. Add the coconut milk and veggie stock and stir to combine. Bring the pan to a simmer and then cover and cook for for 10 minutes. After ten minutes, uncover and cook for another 15 minutes. Check your yams at this point for softness by sticking a fork through a thick piece. If you can easily pierce through the yam, they’re done. Remove from heat and let cool for 15 minutes before transferring to a high speed blender. Blend on high for 3 minutes. Taste test and add extra salt and pepper as needed. Serve with chopped cilantro and crispy chickpeas. * This is the brand of curry paste she uses. ** Click here for Roslyn's crispy chickpea recipe. Tag me and Ros if you make it ( @hookedonplants + @butfirstplants on instagram)! We love seeing your recipes. 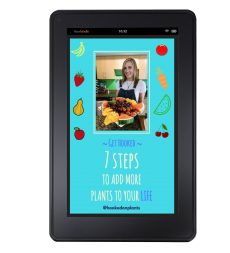 This week’s email is all about my new #PlantsForAWeek vegan jumpstart!